These days it seems as though the Disney Theme Parks are unwilling to create new characters for their attractions. Everything new these days always seems to be tied to existing characters. When Epcot Center first opened it wanted to present new concepts with new characters. Initially, Mickey and friends were not going to make any appearances in the park at all. When the park opened it had its own characters to delight guests and one of the most delightful characters introduced at the time was Figment! Figment was meant to be the personification of creativity and imagination. His theme song was One Little Spark, an anthem to creativity. When Colonel Harland Sanders began franchising his fried chicken restaurants he constantly traveled around the country to do his own taste tests. Since he had created both the secret chicken recipe and the unique cooking process, he knew just by tasting the food whether a particular restaurant was following his procedures to the letter. If they weren’t, he would head to the kitchen to give the staff a refresher course. Colonel Sanders was a leader who knew his business well enough to be able to do it himself. Obviously, Sanders was a unique leader. As the company founder, he had created the very system that made him famous around the world. Nobody would expect the head of Kentucky Fried Chicken today to know as much as Colonel Sanders did about the chicken cooking process. However, he or she should have more than just a cursory understanding about how the restaurants are run; as well as how decisions made at the upper levels of management will affect the customer experience. On the reality show Undercover Boss, however, we often see how little some company executives know about their businesses. The show follows a different CEO or division head each week as they don a fake disguise and visit different locations to see how things really happen out in the trenches. The strangest thing about the show is that it can find enough executives willing to go on it to begin with. We can forgive the predictable fumbling around as they try to make burgers, take customer orders or work on the assembly line, but the real shocker is how often the leader appears surprised about how some cutback or policy change negatively affected operations out in the field. It seems obvious that cutting staffing, maintenance or supply quality will have an adverse effect on customers and employees, but often the show features the leader shaking their head in disbelief. ‘Cutting back on the maintenance budget resulted in less efficient operations and customer complaints? Who’d have guessed?’ The show often ends with the leader telling the camera that things will change, but why did the company choose to make such important decisions without considering the implications in the first place? And why didn’t they actually go out to the trenches to gauge how a change might affect operations? Often the answer is that the only thing that mattered was the bottom line or that management thought it knew better than the people on the front lines. Good leaders don’t have to know the minutiae of the business like Colonel Sanders. They should, however, have an understanding of how their decisions will affect their front line staff and customers. 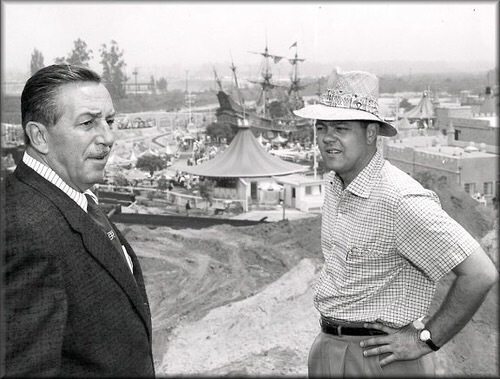 Walt Disney constantly walked around Disneyland to see how things were going or what might need improvement. 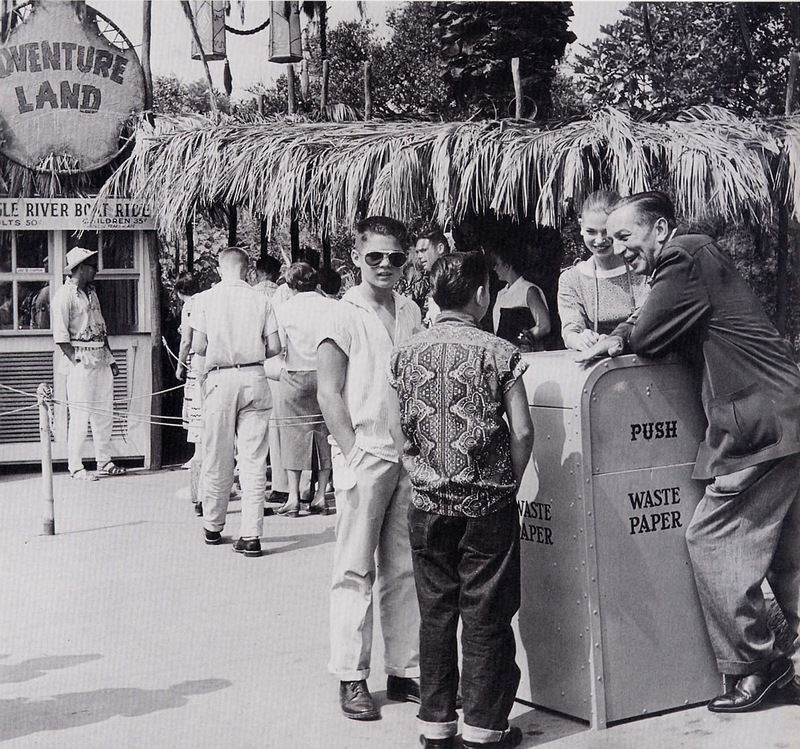 He spoke with guests, experienced the park like a regular paying customer and tried to understand the park’s everyday operations. He often consulted with front line staff to figure out the challenges they faced and get suggestions for improvements. He might not have been able to operate Matterhorn Mountain, but he certainly understood how staffing and maintenance cutbacks would affect its daily operations. Taking time to understand the organization’s operations and how each piece fits together is not only a sign of a great leader, but it can also help reduce unforeseen consequences when budget and policy changes are made. Plus, customers and employees appreciate being genuinely listened to. An organization might still run into problems, but having an ongoing dialogue with all stakeholders will result in them being much more patient when any slip ups occur. When The Disney Channel began broadcasting in 1983, it was mainly seen as a way for the company to use and repurpose its existing characters and franchises. Most of its launch slate consisted of Classic Disney movies and television shows. New programming was typically based on existing characters like Dumbo’s Circus, Welcome to Pooh Corner and Mousercise. It would take almost twenty years for the channel to produce an original animated series not based on existing characters- The Proud Family. On November 18, 1978, Mickey Mouse became the first animated character to get a star on the Hollywood Walk of Fame. It was his fiftieth birthday.